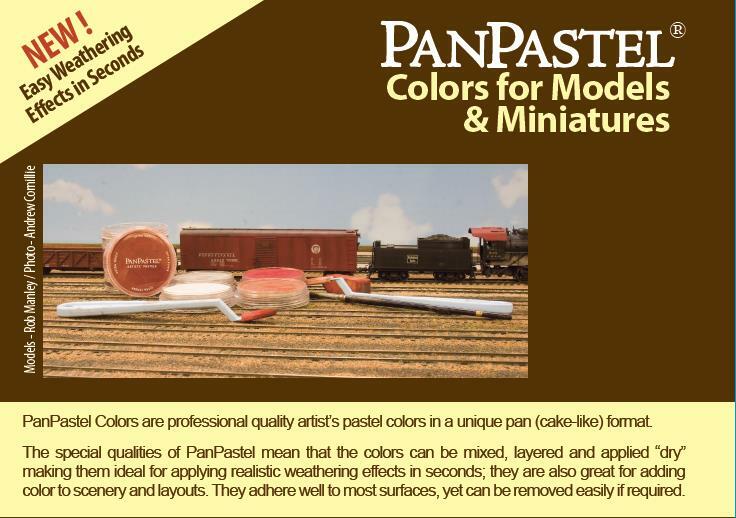 Premium Art Brands have recently launched new PanPastel kits from Colorfin that are specially developed for modellers. PanPastel Colours are professional quality ultra-fine pastel colours in a unique pan (cake-like) format. The special qualities of PanPastel means that they can be mixed, layered and applied “dry” making them ideal for applying realistic weathering effects quickly. PanPastel Colours adhere well to most surfaces, yet can be removed easily if required. PanPastel Colours are easier to use than an airbrush for weathering, and are cleaner and quicker to use than pastel sticks and powders. The perfect solution for easy weathering effects in seconds! Colours and applicators are available individually, along with three kits.